I've had my JPhotoFrame project using the OpenWeatherMap API for some time now, at least since Yahoo messed up its own weather service. I thought it would be useful to share a bit of code on how to use the OWM API, so here it is. I'm using the OWM JAPIs 2.5.0.5 library, which is compatible with the OWM 2.5 version API. In order to use OWM programatically, an API key is required. This unfortunately means that the end user has to get their own key too, it's free and not a big deal but is a little bit of an annoyance to have to go through. 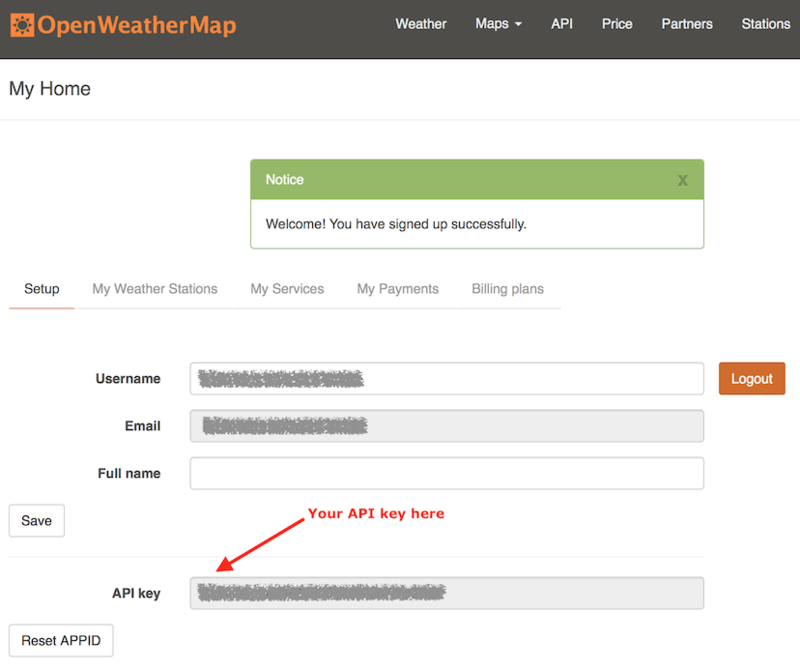 To get an API key for OWM, first an account is required, one can be created on the OWM sign-up page. After signing up, the API key is available. Update: on the updated site there is an API keys tab. So here's the bit of code to get a three day forecast and display the minimum and maximum temperature for those days. All of the code is straight forward, it's just a matter of using the right classes.